Part 1: Background. 1. Introduction. 2. Terminology of Safety. 3. Safety Standards and Certification. 4. Representative Companies. Design Verification. Part 5: Coding. 16. Coding Guidelines. 17. Code Coverage Metrics. 18. Static Analysis. Part 6: Verification. 19. Networks. C Calculating (2+3)+4. D Notations. 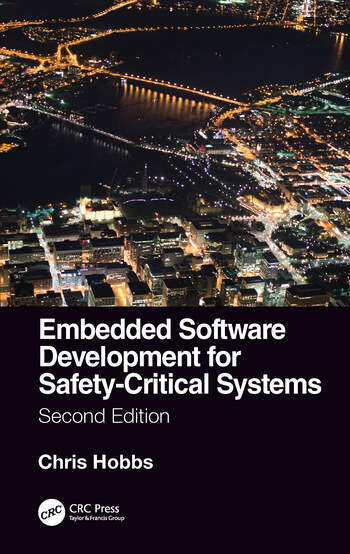 standards such as IEC61508, ISO26262, EN50128 and IEC62304.